What is Cardio? What is Cardio Training? Should I Do Weights Or Cardio to Lose Fat? 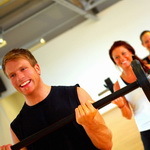 Is High Intensity Interval Training Better For Fat Loss? Cardio is a term you hear quite a bit in the fitness world. But, what is cardio exactly? And why would one want to do a cardiovascular workout? Everywhere you look, it's always said that long-duration, low-intensity training is best for fat loss. All high-intensity work does is burn carbohydrates, right? 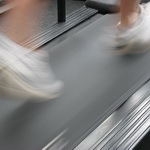 Wrong...here's the truth about interval training and how it can be your key to fast fat loss. When I do cardio I want to get the greatest fat-burning effect in the shortest amount of time possible and get it over with fast. I want to burn a TON of calories and get the greatest "afterburn" for the time I put in. THIS is the fastest method I've found for accomplishing that. This 8-week interval training complete progression plan gets you started with the more introductory-level types of interval training then gradually moves you into the more intense and challenging interval training techniques. Cardio training for fat loss doesn't have to be long and boring. It doesn't have to be done on expensive cardio machines. Cardio doesn't have to take forever and it doesn't need to be painful. These 5 stair-stepping variations are done on just a couple of stairs in the privacy of your own home.